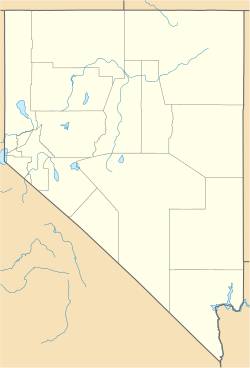 Paradise Valley is a census-designated place (CDP) in Humboldt County, Nevada, United States, near the Santa Rosa Ranger District of Humboldt National Forest. It is located at the northern terminus of Nevada State Route 290, about 19 miles (31 km) northeast of U.S. Highway 95 and a total of 40 miles (64 km) north of Winnemucca. The town is located in a broad valley, with the Santa Rosa Range of mountains just to the northwest. At the 2010 census, the population of the CDP was 109. A post office has been in operation at Paradise Valley since 1871. According to tradition, in the 1860s a prospector declared "What a paradise!" upon seeing the valley, after having traveled through the surrounding arid territory. As of the census of 2010, there were 109 people, 51 households, and 35 families residing in the CDP. There were 92 housing units. The racial makeup of the CDP was 89.0% White, 1.8% Native American, 6.4% some other race, and 2.8% from two or more races. 18.3% of the population were Hispanic or Latino of any race. 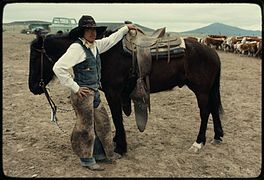 The American Folklife Center of the U.S. Library of Congress conducted extensive ethnographic field research in Paradise Valley from 1978 to 1982. The Paradise Valley Folklife Project generated a multi-format resource collection documenting the history and culture of the area's ranching community. A team of fieldworkers from AFC documented the distinct ethnic groups in the area (Apache, Anglo, Basque, Chinese, German, Italian and Northern Paiute); the history of the region, including archaeological remains of a Chinese community, foodways, and oral traditions. 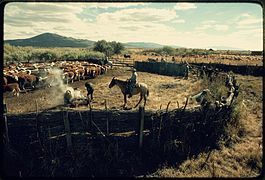 The resulting material was subsequently packaged by the Library of Congress into a collection titled "Buckaroos in Paradise: Ranching Culture in Northern Nevada, 1945-1982". The collection includes 32 boxes of archival material including manuscripts, audio and video recordings, and several thousand photographic prints and negatives from the AFC project and additional historical archives dating back to 1870. The project was initiated by the American Folklife Center in cooperation with the Smithsonian Institution in 1978. 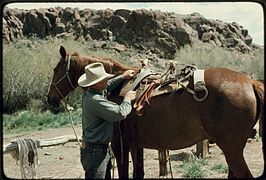 Pack saddle horse on the Grayson Ranch. Branding on the Ninety-Six Ranch. Roping on the Ninety-Six Ranch. Humboldt County School District serves the community. The sole school in Paradise Valley is the Paradise Valley School, which serves Kindergarten through eighth grade. The town is name checked in The Beautiful South album track "This Old Skin" at the beginning of the second verse. The lyrics describe it as, "not far from where the West was won". Trapper and self-styled mountain man Claude Dallas eluded capture for 15 months after killing two Idaho Fish & Game wardens in Idaho, near Paradise Valley, in 1981. After conviction, he escaped from prison in 1986 and after almost a year was recaptured in Riverside, California. Actress Edna Purviance was born in Paradise Valley. ^ "Geographic Identifiers: 2010 Demographic Profile Data (G001): Paradise Valley CDP, Nevada". U.S. Census Bureau, American Factfinder. Retrieved January 24, 2013. ^ "Profile of General Population and Housing Characteristics: 2010 Demographic Profile Data (DP-1): Paradise Valley CDP, Nevada". U.S. Census Bureau, American Factfinder. Retrieved January 24, 2013. ^ "Nevada Collections in the Archive of Folk Culture (American Folklife Center, Library of Congress)". U.S. Library of Congress, American Folklife Center. Retrieved January 24, 2015. ^ a b "Paradise Valley Folklife Project collection, 1978-1982". U.S. Library of Congress, American Folklife Center. Retrieved January 24, 2015. 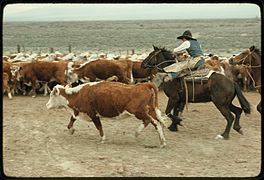 ^ "Buckaroos in Paradise: Ranching Culture in Northern Nevada, 1945-1982". U.S. Library of Congress, American Folklife Center. Retrieved January 24, 2015. ^ Popkey, Dan (Mar 23, 2008). "How did notorious Idaho outlaw, Claude Dallas, escape?". Idaho Statesman. Retrieved 24 May 2013. Prudic, D.E. and M.E. Herman. (1996). Ground-water flow and simulated effects of development in Paradise Valley, a basin tributary to the Humboldt River in Humboldt County, Nevada [U.S. Geological Survey Professional Paper 1409-F]. Washington, D.C.: U.S. Department of the Interior, U.S. Geological Survey. Marshall, Howard and Richard E. Ahlborn. Buckaroos in Paradise: Cowboy Life in Northern Nevada [Bison Books/University of Nebraska Press, 1981, ISBN 0803281145]. Washington, D.C.: U.S. Library of Congress. This page was last edited on 23 May 2018, at 19:30 (UTC).